In 1919 a group of American intellectuals founded the New School. The professors of Columbia University stand against the First World War. They were censured by the Columbia's president, resigned from Columbia and joined with other progressive educators to create a new model of higher education for adults. 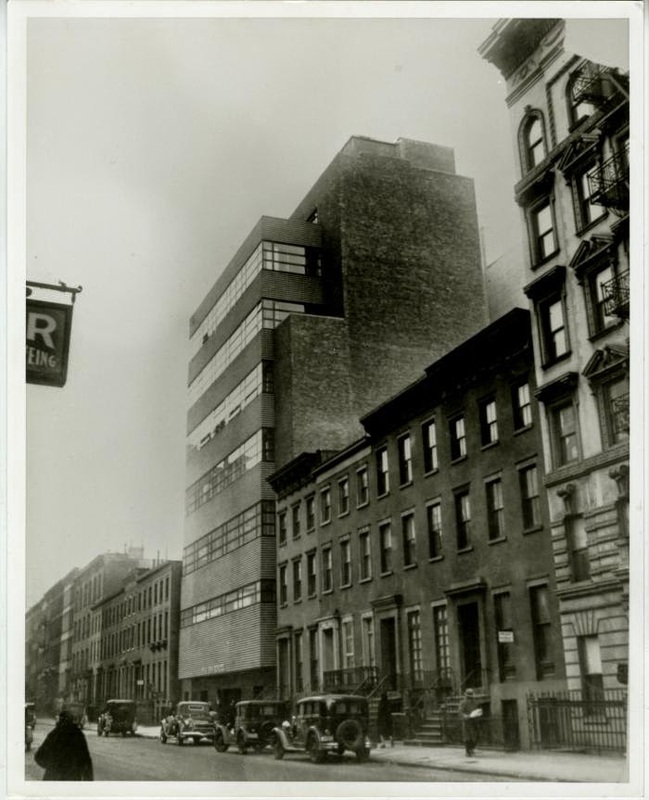 From its inception, the school has held an important place in the intellectual life of New York City and provided employment for numerous European scholars who fled from the Nazis in the 1930s and 1940s. When faced with the need to construct their own facility in 1930, the leaders of the New School desired a building whose architecture would reflect the institution’s progressive philosophy. The first building constructed for the New School for Social Research was designed in 1930 by Joseph Urban, a well-known architect and theater designer who was trained in Vienna. In the same year the New School’s director, Alvin Johnson, commissioned the mural for the school. 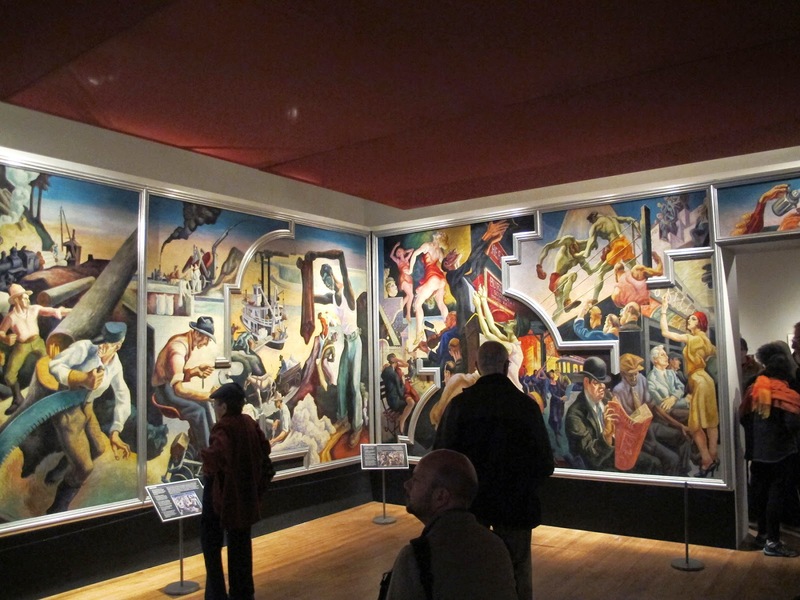 The mural was painted by the artist Thomas Hart Benton. The artist lived in New York City for twenty years and was a teacher at New York's Art Students League, offering students grounding in European art history, as well as an awareness of European modernism. 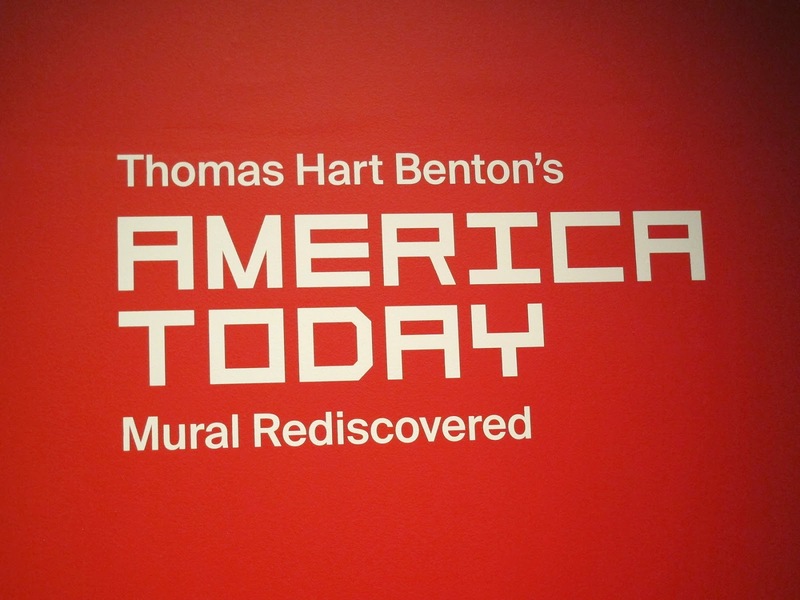 “America Today” was Benton’s first major mural commission. The ten panels depict a panoramic sweep of rural and urban life on the eve of the Great Depression. 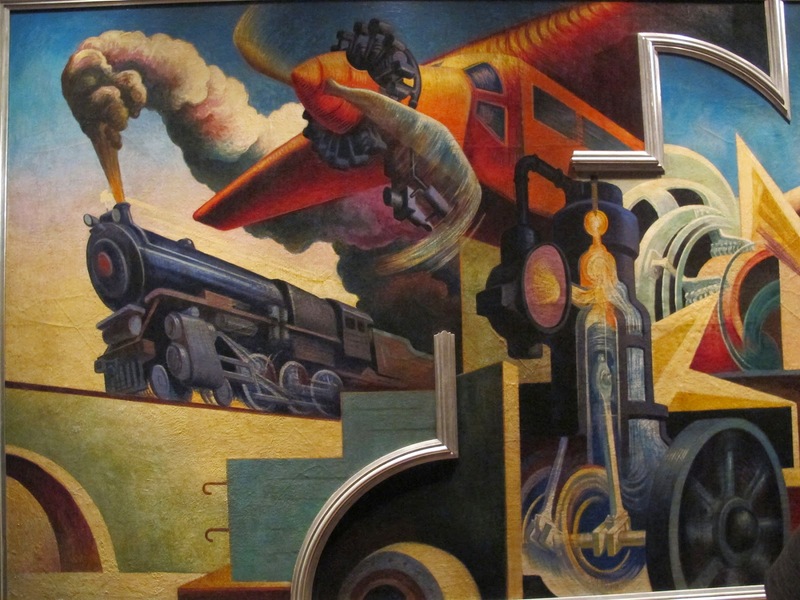 The mural evokes the belief in American progress that was characteristic of the 1920s. 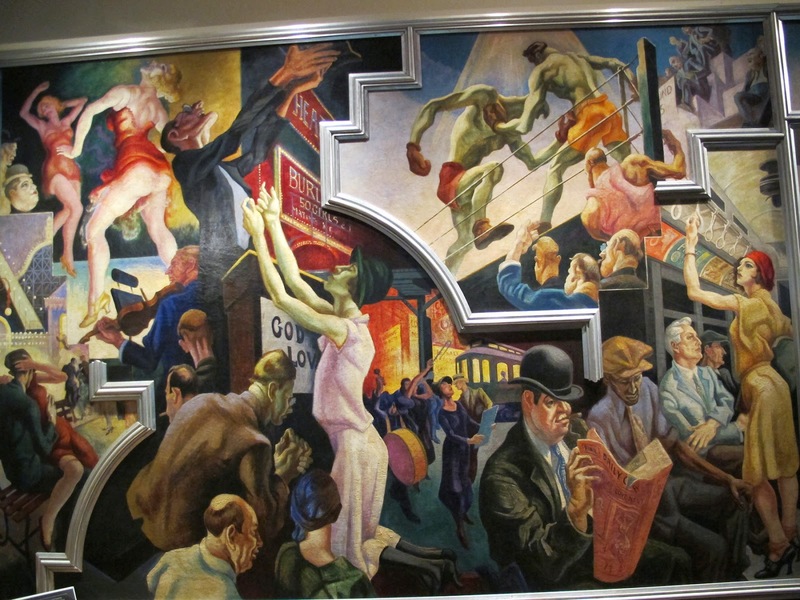 Benton said:"It is true my murals include the synthesis of the color and tempo of the jazz age as represented by racketereers, fast women, gunmen, booze houds and so on... My subjects portray American life of the 20th century realistically". In 1982 The New School sold the mural because it was too difficult for the school to maintain it. Axa equitable bought the mural in 1984 and displayed it in the company headquarters at 787 Seventh Avenue. 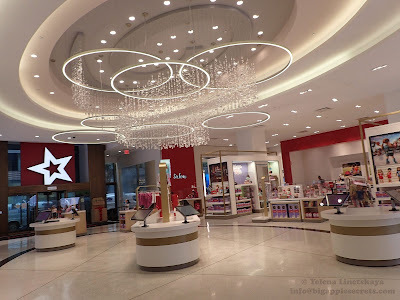 In 2012 after lobby renovation AXA donated the Mural to the Metropolitan Museum. 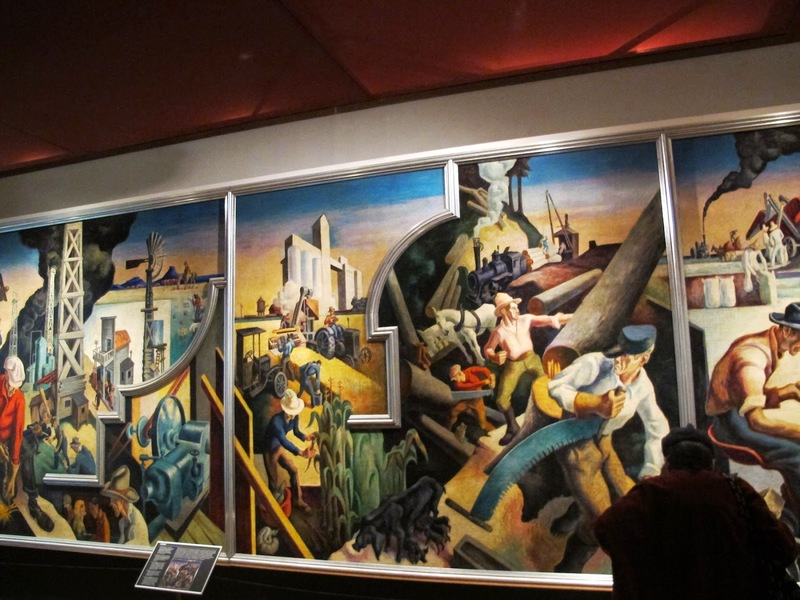 In the exhibition at the Met museum, the mural is installed in a reconstruction of the New School’s 30-by-22-foot 1931 boardroom, which allows viewers to experience it as Benton conceived it. There is a black and red color scheme, the same one created for the boardroom by the New School building’s modernist architect, Joseph Urban.